Dean Jobb, an experienced journalist, author, journalism professor, and recognized authority on media law, provides a unique perspective that is designed to make journalists more aware of their rights and the legal limits on their craft. He examines the day-to-day issues faced by reporters and editors, and offers practical advice on how to overcome obstacles. 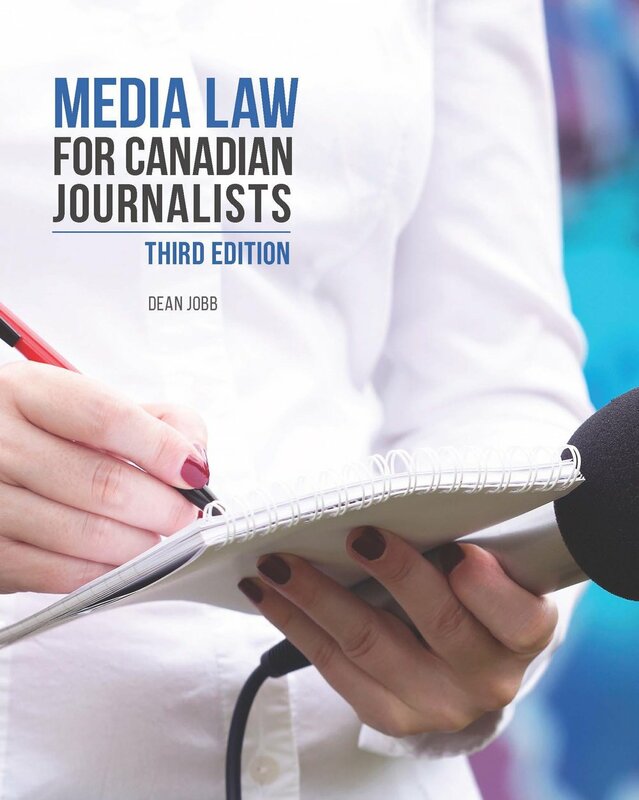 Using real-life examples and discussions of both criminal and civil law cases, the text explains the rationale behind the laws that affect the media, how those laws are interpreted, and what they mean for journalists. Jobb provides journalists with what they need to know to get the story — without getting sued. Integrates coverage of Internet issues throughout the text, instead of in a single chapter. Presents essentials of the Canadian justice system, including the structure of Canadian courts and tribunals. Updates core areas of media law based on key recent decisions. Includes photographs, new table of cases cited, and an expanded index. Uses a simple, direct writing style, combined with numerous historic and current cases, scenarios, and legal precedents. Outlines a proactive model of media law, stressing how to publish while staying out of legal trouble. Examines freedom of expression and the Charter. Offers important tips on reporting criminal cases and pitfalls to avoid. Presents coverage of ethics and professional responsibility. Available now — a revised and updated edition exploring the latest Supreme Court of Canada rulings on libel, confidential sources and publication bans, the legal restrictions on social media, human rights commissions & free speech, and more! Click here for more information and to order online from the publisher.